Time to celebrate another victory!!!! Today’s run passed over the 300 mile mark since the starting line in front of Sleeping Beauty’s Castle at Disneyland, in Anaheim, California. I am 300 miles closer to the finish line at the Parkman Bandstand on the Boston Common in Boston, Massachusetts. I took a few minutes today to re-read the blog entries over the past few months. I was genuinely surprised. Even just 300 miles in, it has already been quite a Journey. These last 100 miles ran through rural southern California. Specifically, the A2B Journey led through Marine Corps Air Ground Combat Center at Twentynine Palms and the Mojave National Preserve. 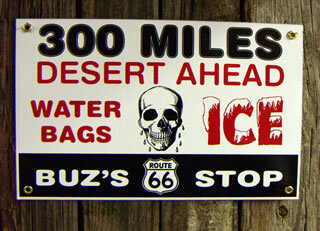 The next 100 miles will lead into Nevada and across 45 miles 0f desert before reaching the oasis town of Las Vegas. It should be an interesting run!! Experiencing and enjoying Los Angeles and Mojave Desert virtually has really created the desire to actually run at the actual location. Especially for certain parts of the A2B Run. Hmmm . . . . I should call my agent to see about getting a sponsor! Which reminds me, I need to get an agent!! In the meantime, press forward to mile 400! Today’s run was a 4.5 mile run with the Charlotte Runners, a local running club. The course was a lollipop style route on residential streets. No main roads. So, it turned and twisted a lot. (Drawn out on a map, it is a very Picasso-esque lollipop shape.) The course was all hills! I knew I was in trouble in the first mile, as it was nearly all downhill. All I could think was that I am going to have to run back up this thing to finish!! Not having run this course before, it was somewhat difficult to keep my sense of direction and distance. I could only guess the distance based upon time. In spite of the heat and the downhill / uphill challenges, it was a nice run through some beautiful neighborhoods. Also, in group runs, I typically run faster. As a result I was very happy with my time. The best part about group runs is usually the group itself. I met some fun and interesting people! I was greeted by high fives and fist bumps as I crossed the finish line. This happened for every runner that completed the run. This was followed by lots of nice conversation and laughter. A very positive and energetic group of people. Can’t wait to run with them again! On milestone runs, I usually spend a little time reflecting on the challenges and accomplishments so far. Then, I look ahead at the next couple of milestones and the ultimate goal. 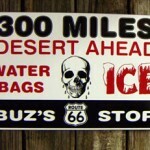 These first 300 miles have been challenging, interesting, and fun. Already it has been full of discovery and learning. It is a lot more work than I had anticipated. But even that has its own reward. I am thankful for the challenge that it has been. I am really excited to see what I get to discover in the next hundred miles! Plus, I am really looking forward to running Las Vegas!! I thought about a framed picture that my father has had for years. 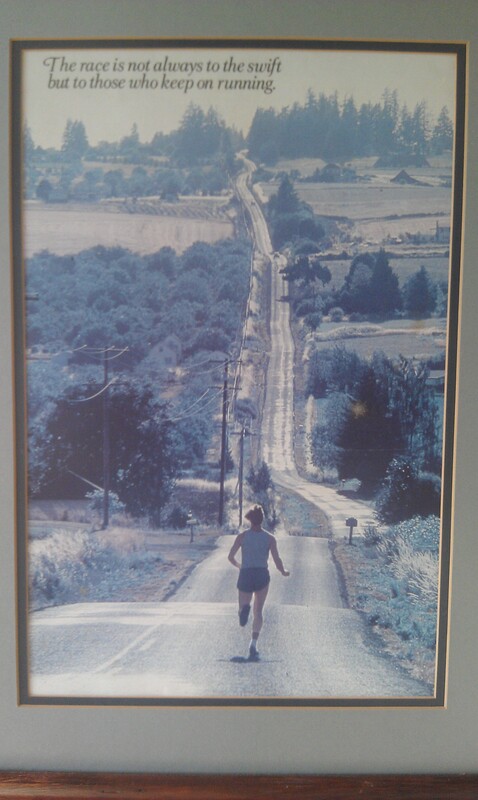 It is a picture of one lonely runner on a long country road that disappears on the horizon. 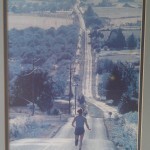 The caption reads, “The race is not always to the swift but to those who keep on running.” Sometimes when I am tired, discouraged, or even lazy, I think about this picture and its caption . At these moments, the message / reminder to myself is persistence and consistency. Just keep going. At other times, I think about it in terms of moving down a path where there is so much to see and do! I wonder what this runner will see and experience in the next 1, 2, 5, or 10 miles. What will he discover? The picture doesn’t offer any clues to this regard. The only way for the runner to find out is to run there. To me, this is where the phrase “Movement is life!” finds its meaning. You will never know what is around the corner until you move around the corner! You will never know what lies ahead until you move ahead! Perhaps he will encounter zombies, unicorns, or leprechauns. He may have even lost his marbles a long time ago, and will finally find them. Anyway, you look at it, he is having an adventure.